With Spring here and summer on the way, everyone is really starting to fire up those grills. My family loves to grill out in the evening and sometimes on the weekends. Plus, it is a fun way to spend time together. We grill all sorts of food; beef, chicken, pork, potatoes, vegetables and more. We love how grilling out adds a touch of flavor to your food. I was lucky enough to work with Char Crust on a review. I was sent the All American Barbecue and the Original Hickory Grilled, both of which are flavorful and really add a great taste to any food you are grilling. Plus, with the upcoming summer holidays, this makes a great addition to grilling. Simply dredge or rub on any protein, then broil, bake, grill, or sauté. 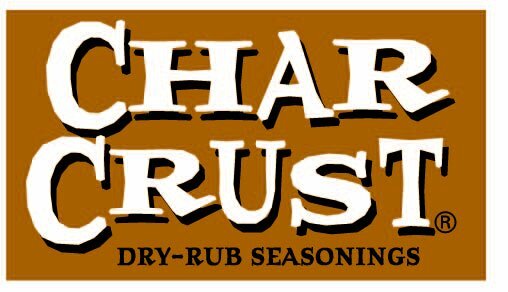 When I received the Char Crust Dry Rub Seasoning,g I didn't even know which one to try first. Naturally, I decided to let the kids decide which rub to try first. They decided on the All American Barbecue first. I think because of the word Barbecue. We decided to make some ribs, you can't go wrong with ribs. I rubbed the Char Crust generously on the meat. During the cooking time, you could smell the flavors that were developing. Of course, it had to cook for a long time because if you want good ribs they have to cook for a long time. When they were completely done, we were able to enjoy them. The flavor was amazing, the Barbecue flavor was bold and it really elevated the ribs. I only wish I had more rub to enjoy all summer long. Finally a few days later we decided to grill out again so we could try the Char Crust in Original Hickory Grilled. I have never tried the hickory flavor in any rubs before, so this was going to be a new treat. We decided to use the rub on T-bones which are amazing on the grill already. Why not add a really tasty rub to elevate the meat? We added a lot of rub. After they were grilled and ready to eat, I couldn't believe how amazing the flavor was. You could really taste and hickory with each bite, plus it has a nice aroma to go with the meal. I can say that the hickory flavor is one that we will have in our home for all of our grilling seasons. About the company: They created their first Char Crust in 1957 at their family’s fine Chicago steakhouse, Al Farber’s. Every steak we served was the best prime meat, dry-aged in our coolers. And every steak was seared to juicy perfection with our signature Char Crust dry-rub seasoning. 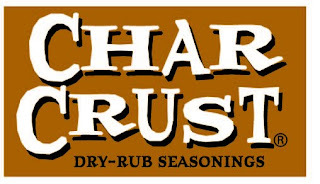 You can show some love by liking Char Crust on Facebook and on Twitter. 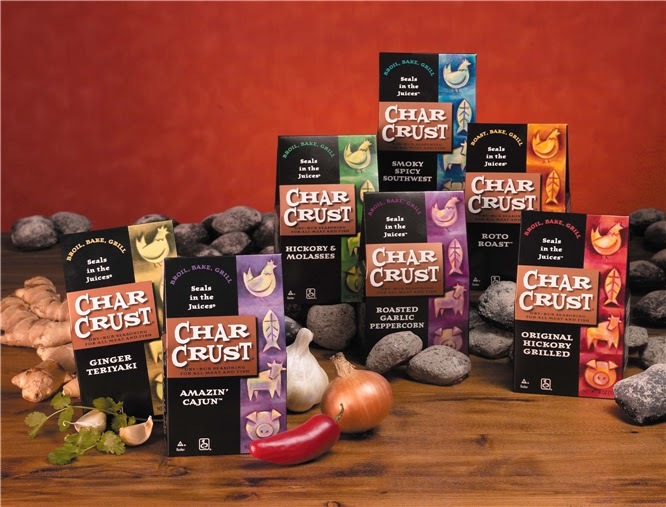 Where to purchase: You are able to make a purchase from the Char Crust website. You can also go to the Store Finder tab and find a store near you. I would love to try the Amazin' Cajun because I just can't get enough of that mixture of spices that taste sooooo good on beef and chicken. They all sound good, but I do love od Cajun rub. Southwest Chipotle! Thanks for a delicious giveaway! I'd love to try the All American BBQ.